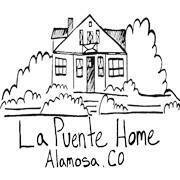 In 1982, La Puente began as a response to the community’s need to provide shelter and aid to the underserved families in the San Luis Valley. What started as a homeless shelter in the local Catholic church’s basement has grown into a multifaceted ministry, anchored in Alamosa, CO. Currently, La Puente offers assistance through a shelter, a food bank, outreach services, family services, PALS - a children’s program, veterans services, a gardening initiative, and a clothing resource. La Puente aims to consistently creatively meet the needs of its neighbors. In 1986, Lance Cheslock, a member here at FBC, became the first formal director for La Puente. Our congregation got involved in serving La Puente in 1989. FBC has been involved with every major renovation and remodel since that period. Each fall, we send a group to glean potatoes for the food bank. Annually, we are involved in La Puente’s Christmas program through donations. Finally, we are constantly accepting donations on behalf of La Puente. They have specific needs for bedding and kitchen supplies (pots, pans, and eating utensils). If you are interested in getting connected to the work of La Puente or have any questions, please contact Phyllis Davidson.